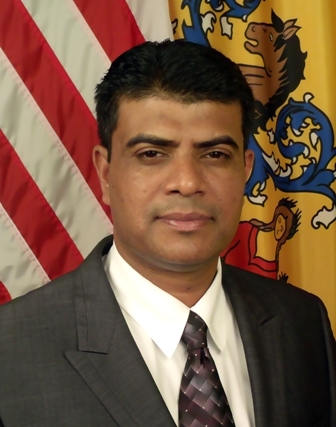 A harassment case that was filed by a city man, who allegedly assaulted another on Edmund Avenue, against 2nd Ward councilman Mohammed Akhtaruzzaman, who responded to the scene, has been dismissed, according to Clifton and Paterson municipal court officials. Theodore Kyles, the councilman’s attorney, confirmed the case was dismissed on September 14th, 2015, following meditation. The case emerged from an escalating landlord-tenant dispute on Edmund Avenue that ended in violence on April 17th, 2015 between Basharul Choudhry, Rafael Ortiz, and Nelson Hernandez. Choudhry, the tenant, was allegedly assaulted by Ortiz during the dispute. A relative of Choudhry’s contacted Akhtaruzzaman. Akhtaruzzaman responded to the scene at which point he was approached by Ortiz. The councilman refused to speak to Ortiz. The councilman inquired as to why the alleged assailant was not arrested after learning Choudhry was hospitalized, said Akhtaruzzaman. Ortiz allegedly punched Choudhry in the corner of Edmund and Union Avenues. Choudhry filed a complaint in municipal court against Ortiz and Hernandez. Hernandez is the superintendent of the apartment building in which Choudhry resides. Ortiz and Hernandez approached Choudhry to tell him to stop smoking in the backyard. The dispute escalated to the street corner. Choudhry later filed assault charges against Ortiz and Hernandez. Ortiz filed harassment charges against Akhtaruzzaman. The cases were transferred to Clifton municipal court. Municipal judge John Meola sent the case to mediation. Choudhry said Ortiz agreed to pay 30-percent of his medical expenses. He said the two also apologized for the incident prior to making their way to the court. “They came in and apologized,” said Choudhry. Choudhry said his medical bill exceeded $8,000. Akhtaruzzaman said Ortiz made a “mistake” in filing the harassment charge against him. “A constituent called me. I went there. I didn’t do anything,” he said. Akhtaruzzaman said Ortiz was likely persuaded by his political opponents to file against him. Henry Sosa, his former campaign manager, who is seeking to unseat the councilman, appeared at the scene on Edmund Avenue. Sosa runs a print shop out of councilwoman Maritza Davila’s constituent services office on Union Avenue. Davila, who later sympathized with Ortiz and Hernandez, has previously said she received a call about the incident, but never responded to the scene. Akhtaruzzaman said his political foes were behind the case to tarnish his reputation. Kyles, the councilman’s attorney, said his client’s political enemies were utilizing the court system was a political weapon. “I told him [Akhtaruzzaman] they’re just trying to make you look bad,” said Choudhry, the victim in the political war.